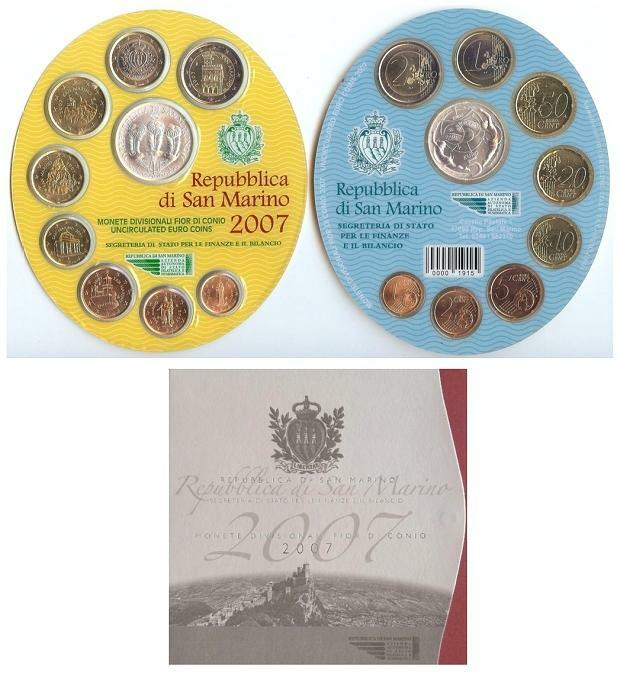 San Marino 2007 Mint Set of 9 Euro coins including a 5 Euro silver "Equal Opportunity" depicting a male and female figure on a cogwheel, united by a band bearing the inscription PARI OPPORTUNITA. In original Mint folder, Brilliant Uncirculated condition. Engraved by Ettore Lorenzo Frapiccini (5 Euro silver coin designed by Luciana De Simoni).